A few weeks ago “we” talked about catering to people with special diets. I mentioned that I felt that people with special diet needs should help contribute to a dinner party by bringing a dish that they can eat and not expect the hostess to go out of their way to make something just for them. With that said, it brings me great joy (after much frustration of cooking out of my element) when I present my friends with special diet needs a special treat just for them. The fact that I went out of my way to buy the special ingredients, do some research, and create a treat they can eat means a lot to them. And that is the whole reason behind this 12 Days of Homemade Christmas Gifts! Homemade gifts, whatever they are, always mean more than anything store bought could ever mean. They show you put time, effort, and thought into creating that special gift; especially if you present a gift to your friend or loved one that is personalized and IS just for them. A few of my friends eat Paleo diets. When one of them celebrated a birthday a few months ago I wanted to create a special treat just for them on their special. After much research (online and calling his wife like a million times), I came up with these cupcakes. My friend and his wife devoured these cupcakes in one day and told me they wished they had more (WOW! That’s quite the feedback)! 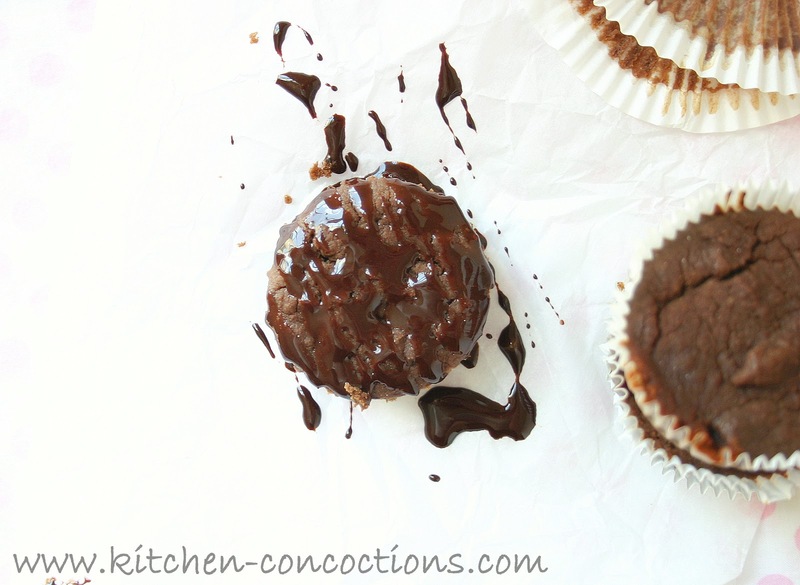 Since these cupcakes are Paleo friendly they are Gluten and Lactose free too! So make a batch of these cupcakes this holiday season and gift them to someone in your life who has a special diet; you will show just how much you care! Preheat oven to 350 degrees. 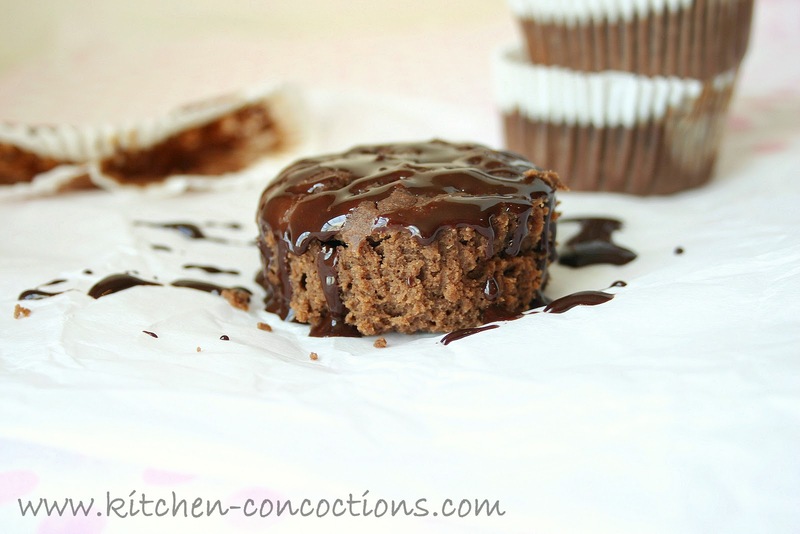 Line muffin tin with paper cupcake liners. In a large bowl mix together the coconut flour, cocoa powder, salt and baking soda. In a separate bowl, stir together eggs, honey, applesauce and milk. Stir wet ingredients into dry ingredients until moistened and combined. Spoon prepared cupcake batter into prepared muffin tin. Bake at 350 degrees for 20-25 minutes, or until a cake tester inserted in center comes out clean. 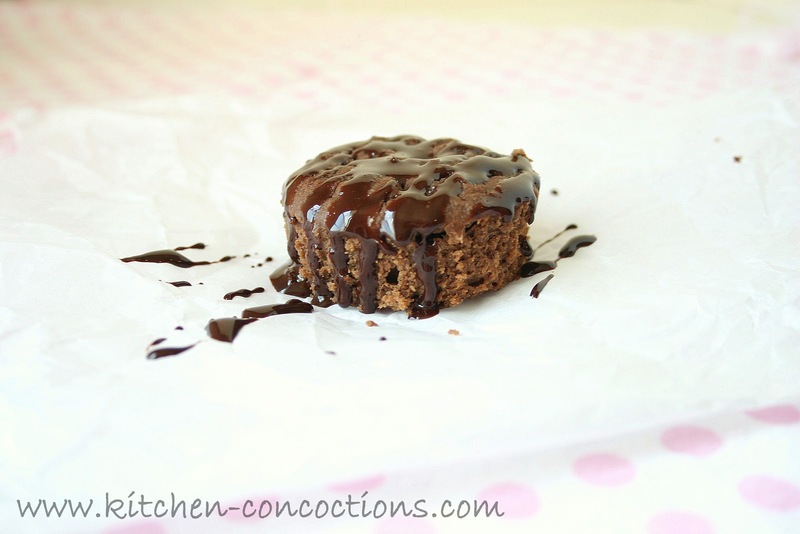 Cool slightly and top with a drizzle of chocolate sauce. Combine all chocolate sauce ingredients in a small sauce pan over medium-low heat. Heat, stirring constantly, for 1-2 minutes or until mixture is smooth and sauce like in consistency. Add desired amount of sweetener and milk based on consistency and sweetness preference.